HTC is on the roll. Demonstrated clearly so many times in the last few years, with models like the Touch Diamond, Touch Pro, Diamond2, Touch Pro2, HD and lately the Android based Magic, and Hero. With models in both the Windows Mobile, and Android camp, it was for a long time uncertain which operating system the highly anticipated HTC HD2 would run. But now its clear that the choice for the professional user is Windows Mobile, dubbed simply Windows Phone. Is the HD2 innovative enough to pounce on the more established smartphones out there, or is the HD2 a prey in the hunt for smartphone market shares? When you first open the package you will get blown away by how enormous the HD2 is, with its sleek, black design and glossy capacitive screen, it just screams high tech. Let me be the first to say, the HD2 is beautiful. With unrivaled build quality and exclusive components the HD2 is a masterpiece of engineering. In terms of sheer size, its smaller than the gigantic Toshiba G1, and a bit larger than the the iPhone. The entire front has a glass covered capacitive touchscreen, measuring 4,3″ diagonally. At the lower end you will find 5 buttons, Dial, Home, Windows, Back and End-call / Standby. The back has a two-part design with plastic / rubber top and bottom, divided by the metal battery cover. The whole thing just feels solid and exclusive. (It even smells good) The only downside is that there is no cover over the camera lens, which sticks up quite a bit, making it more vulnerable to scratches and fingermarks. On the left there is the volume rocker which provides good feedback. The top, and right side is clear with no buttons, we find it strange that there is no camera shutter key. This causes some stability issues when taking pictures. HTC has put both connectors in the bottom, with the 3,5mm jack, and micro-USB neatly packed together, and when connected to a computer, the HD2 prompts you to select among ActiveSync, Mass Storage or Modem mode. Worth mentioning is the leather pouch included in the retail package, it offers both protection to your phone and a classy detail to an already beautiful phone. The only downside to the HD2’s build quality is the 5 input buttons at the lower end, they feel loose and wobbly and drags the overall impression down quite a bit. Like we mentioned before the HD2 runs the brand new Windows Mobile 6.5 Professional which have been a reference OS for smartphone users. But times are changing, and is Windows Mobile modern enough to compete with the likes of Android, Symbian, or iPhone? The answer is yes. On previous models running WinMo, for example the Diamond 1 and 2, the TouchPRO and the first HD. Windows Mobile where slow, full of bugs and consumed battery like no other. But on the HD2 its a different story. With 1GHz Snapdragon processor, 448 MB of RAM and a 512MB ROM it has more than enough horsepower to easily run WinMo. Unlike other phones, multitasking is a large part of WinMo based handsets, and HD2 does that rather well. We tested up to 32 applications running simultaneously, with almost no lag at all. A signature for the HTC models is the TouchFLO – HTC’s pride and joy – seen before on the Diamond 1 and 2, TouchPro 1 and 2, HD – and as the SenseUI on the Android models. HD2 offers the latest version of SenseUI mixed with TouchFLO. It features customizable shortcuts at the bottom tab, and nine slots for applications on the home screen. The downside is that the layout itself is not customizable at all. SenseUI works great with the 4,3″ capacitive screen, menus react to the slightest touch and it all feels natural, responsive, and accurate. The home screen will instantly look familiar to HTC owners, although the calendar, world clock and weather has been polished quite a bit. A new feature is the weather effects on the screen showing raindrops, snow, sunshine, fog and really lets the weather come alive on your handset. There are also nine slots which you can insert almost any application or settings into. The shortcuts at the bottom lets you select the home screen wallpaper, and you can choose from still pictures, animated wallpapers, or the before mentioned weather effect. The sweeping of the bottom panel feels natural and does not take time getting used to, the transitions are fluid, fast and menu animations gives the HD2 the fastest Windows 6.5 experience available. Also new on the HD2 is the multi-touch user interface, and the HD2 easily rivals the iPhone when it comes to smoothness and transitions. The swipe bar at the lower end is, like we looked at earlier customizable to fit your liking. But keep in mind that so far, you can only add / remove pre-installed tabs. Under the contact tab, you can add shortcuts your favourite contacts. 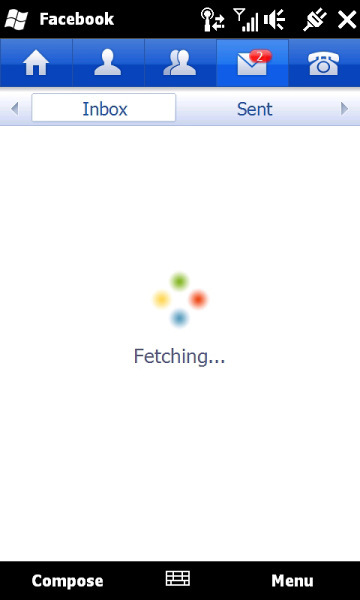 From here you can dial / text / e-mail your contacts with one click, which is more useful than the old TouchFLO interface. If you select advanced options you will be taken to the old Windows Mobile interface, which is bad. But then again, the majority of users will never have to fiddle around in there. The HD2 features probably the best contact manager on the market today. There is no limit to how many contacts you can add, and there is unlimited slots for adding information to each contact. Facebook integration is also in place, which allows you to sync your contacts information from Facebook, adding profile pictures, birthdays, shortcuts to albums, and updates directly from Facebook right in your contact list. There is also a pre-installed Facebook application on the HD2. Compared to Facebook apps on other platforms, it feels unfinished and we never got comfortable using it. Hopefully there is an update coming soon. 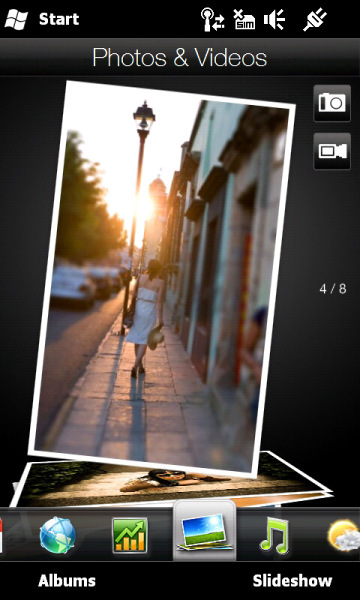 The Messages tab will feel familiar to WinMo users, as the interface has changed little since the earlier HTC models. You swipe through your latest SMS / MMS with one finger, and there is a shortcut on the top right which lets you instantly start a new SMS / MMS. At the bottom there is shortcuts to the Windows Mobile SMS / MMS Inbox. Same story as with the Messages, the email tab instantly feels like familiar territory. You flick through your emails with one finger swipe. Tap the screen once to view the entire email in Outlook or use the shortcut to access the Outlook Inbox. This also lets you access the send / receive option, and account settings. There is support for almost any type of email, and setting them up is a walk in the park. We tested our HD2 with Exchange, Gmail, and Hotmail. Exchange is the king of the hill, with ActiveSync integration it allows you to sync contacts, calendar, and email, with full push functionality. This tab opens the Opera 9.5 browser and you can add up to 10 bookmarks to your favourite websites, and access the pages with one click. Shortcut keys lets you access the settings and all your bookmarks. Opera 9.5 is the default browser and even though we prefer Opera; Internet Explorer is the only one with full flash support. 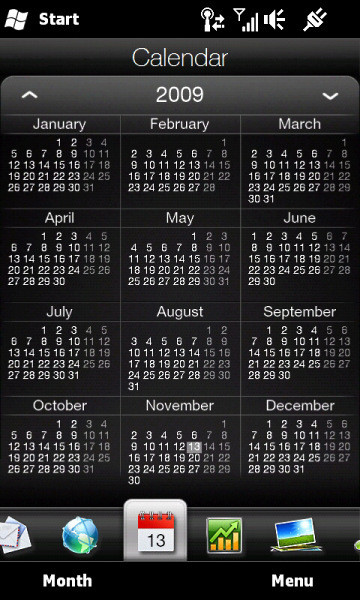 The calendar is completely polished and works fantastic on the 4,3″ screen. It’s fast, easy to use and will quickly become your most valued asset on the move. You flip through the months by swiping your finger up or down and to select a specific day, simply tap the date and the appointment view pops up. 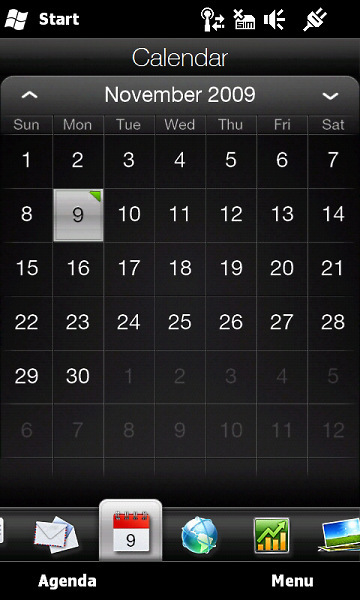 The calendar also has a weather forecast for the upcoming five days integrated in the appointment view. Nice! Windows Mobile offers several time-management features and all of them are easily syncable with Outlook. In the HD2 the standard interface is kept under wraps – the only times you catch a glimpse of it are when creating or viewing an appointment. 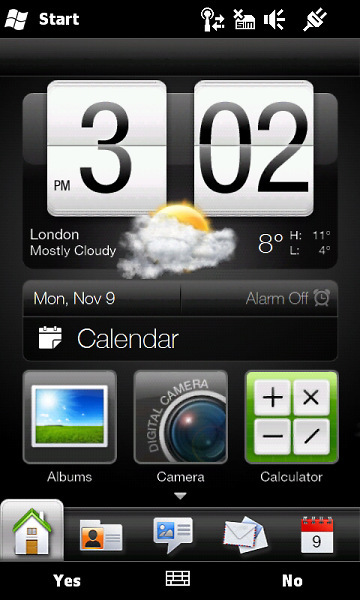 The home screen only shows the basics – time and subject. The Calendar offers daily, weekly, monthly and even yearly views. All of them are available in the Sense UI, so you will never go again to the white WinMo interface. The left context key allows you to switch only between the monthly and daily view. For the others you will need to go to the menu. Adding an appointment is easy and you can do it by the dedicated button. It has plenty of fields, reminders and notes. The time settings resemble the iPhone clock wheels, which LG already adopted in their S-Class UI. When viewing tasks, you can also see weather information for that particular day if available. 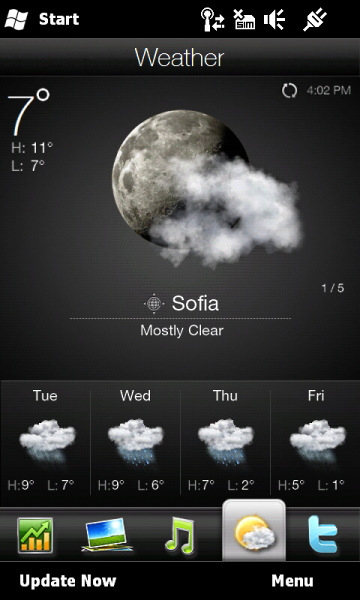 The Sense UI preloads the weather forecast for up to 5 days ahead of the last update. The To-Do list allows you to add tasks and assign them priority, the Notes also come in handy. The Voice recorder and Calculator need no explanation. The Twitter tab need no introduction, as it had been around for quite some time. HTC Peep is a sleek and fast Twitter client, that lets you do all the usual stuff, post new tweets, re-tweet, and so on. It works well with the large screen and it feels natural, and intuitive to use. The Stocks tab is another familiar part of the TouchFLO interface. The stock tab is simple to use, and will no doubt be a valuable tool to those in need of it. Not much have changed here. You scroll through images and video files with finger swipes and shortcuts allows you to start the camera and camcorder directly from here. Tap an image or video to view them in full size, and you can swipe through them with your finger in full screen. You can also turn your phone sideways to view media in landscape mode. From the shortcut you can access another album layout, which displays images in thumbnail view, tap one – and the image is opened automatically in landscape mode and there is no option to rotate it to portrait view. Still that’s not a bad thing because it means the photos you take with the camera are always properly displayed full screen. Once the image is opened, you can zoom in or out using the pinch gesture or the double tab, or continue to the previous/next by finger sweeps. No changes here either. The Music tab displays album art and the most essential buttons. The shortcuts gives you access to the library and music player settings, where you can sort your music by artist, album, genre and so on. Yet again, it works great thanks to the large screen, and you can also flip your phone to view something that looks stunningly close to iPhones CoverFlow. In case you want to filter tracks by other criteria beside album, the Library shortcut will take you to the player backend where you can sort music by artist, genre, composer, purchased tracks or simply create custom playlists. The visual interface of the library is fluid and eerily reminiscent of iPhone’s very own music player. This is my favorite tab, with smooth graphics and amazing animation – I never thought it would be this much fun to watch the rain. You can add up to seven locations, and you flip through them with a finger swipe. By pressing the shortcut key you can view a five day forecast of the selected location, and the other one lets you access the settings. Your default location is the one you set up when you first install the handset, so this is permanent. Last but not least, the Settings tab. No surprises here, this tab lets you control various system settings – and new to the HD2 is the revamped interface. HTC has dropped the old complicated Windows Mobile layout in favour of a new sleeker, more polished interface, and again it works great with the touchscreen. Some functions has been renamed but the layout is simple and intuitive so users that are new to WinMo will feel right at home. In order to access the more advanced settings you need to press the all settings button. This takes you to a not so polished version, and its here that you clearly see that there is WinMo running in the background. 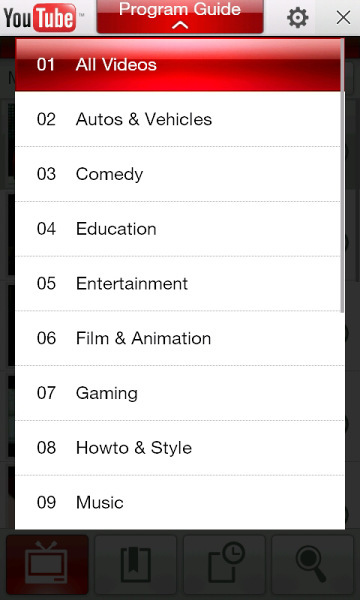 Thankfully, the majority of users will find all the settings needed under the settings tab. Some new features has been added to the HD2 settings, like the “Pocket mode”. This mode detects that the phone is being carried in a pocket, purse or the original pouch, and automatically turns the ringer volume up. Another feature is the “Quiet ring on pick up” which when your receive a call turns the ringer volume down when you pick the phone up off the table. By tapping the top of the screen you instantly get access to the System Status screen. Displayed here are notifications such as new emails, missed calls, new SMS etc. Also displayed is the currently active connections like Wi-Fi, Bluetooth, battery life and more. 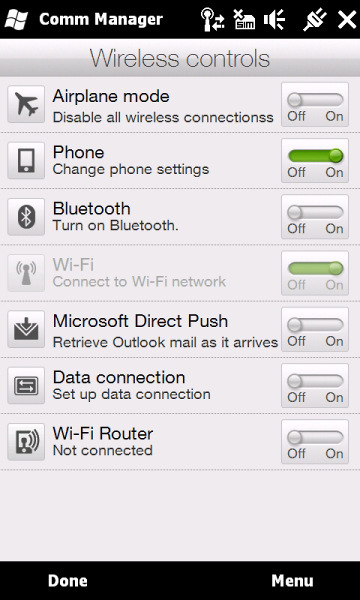 Press any of the connection icons to gain access to the Communication Manager. Here you can adjust various settings, like airplane mode, activate Wi-Fi and so forth. The biggest part of any phone is making calls, and the HD2 excels at just that. The interface for in-call tools is simple and easy to use, and shortcuts to hold, mute, speaker, and more is available at the click of a button. HD2 also features “Turn to mute” which allows you to put the phone face down to mute incoming calls, great if you are in a meeting. But don’t worry, it’s unlikely your calls will get muted accidentally in your pocket – the feature is set up in such a way that it’s more likely to not engage at all rather than engage for no particular reason. A large part of smartphones is messaging and email, and thanks to the gigantic capacitive screen its a dream to write on the HD2. 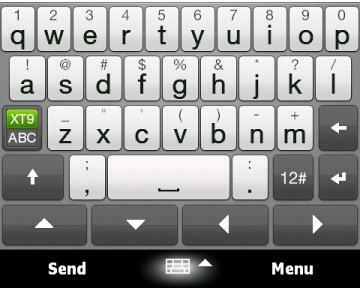 You can choose from two types of qwerty. Either up-right or sideways. Both work great, and writing is easy and fast, allthough not as responsive as on the iPhone, or HTC Hero. Nothing new here. 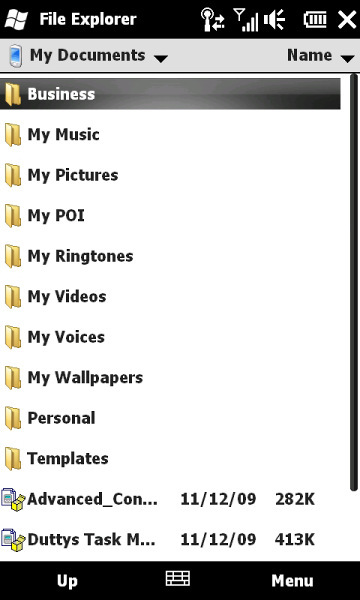 The filemanager on HD2 is the standard WinMo one. But keep in mind that pinch zoom works here, so small fonts is not an issue anymore. The HD2 has a buildt in FM-Radio with RDS. It features a simple interface, and easy to use controls. The FM radio has a 20 station memory. 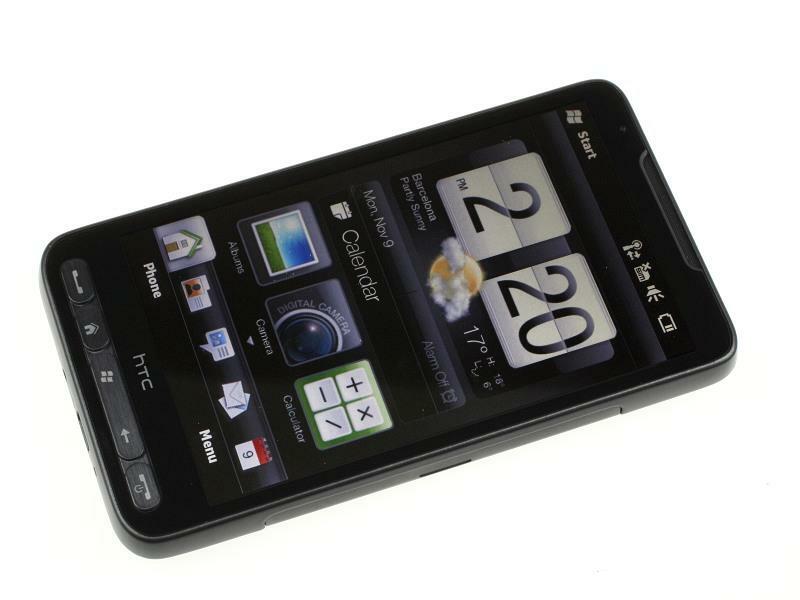 The HTC HD2 features a 5 megapixel auto focus camera producing photos with a maximum resolution of 2592 x 1944 pixels. 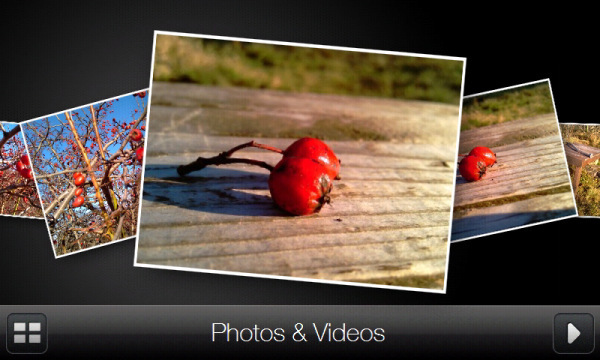 The camera offers an intuitive user interface and shoots in landscape mode. Like we mentioned earlier the HD2 lacks a dedicated camera key, but autofocus is handled the iPhone way this time. It’s automatic and refocuses whenever you move the device. Once focus is locked, you can take the picture by pressing the virtual capture button. There is touch-focus too, but you need to enable it in the settings first. The HD2 also uses dual-LED flash, but as it won’t make a great difference in low-light conditions or in pitch-dark places. Still you can use it as a video light, but again it won’t be much of a help. The picture quality is good with enough resolved detail and natural colors. Shooting at night, or in dark places the dual-LED flash makes a mess of the pictures, making them look over saturated and pale. Videorecording is also a letdown with only VGA @ 30fps, and low image quality. Given the video capabilities of other smartphones and bearing in mind the powerful 1GHz CPU, we expected HD. Among the other WinMo core applications is the Office Mobile package featuring support for viewing and editing Word, Excel, and PowerPoint files. With the latest version of Office Mobile, you also have the OneNote application. Once again, the WVGA display of the HD2 proves superior in fitting as much of the documents contents on the screen as possible – especially in portrait mode. Thanks to Adobe Reader LE, there is also support for viewing PDF documents. We are pleased with the performance of the HD2 in this area, as opening and handling PDF documents is usually rather slow on handhelds. Like we talked about earlier the Windows Marketplace is a ghost town. With almost no availible applications. Its hard to tell if Microsoft has just given up the battle against Apple’s AppStore and Android Market, or if they don’t think it’s important enough to focus on. This is really a shame when you see what potential that lies within the HD2 and what beautiful applications could be made for this handset. 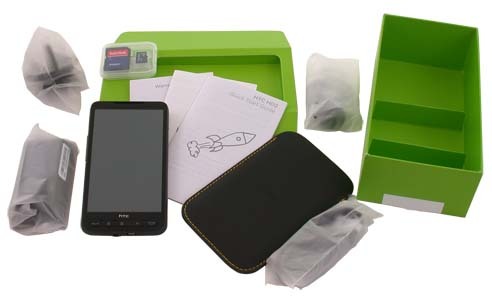 But there is hope, the HTC HD2 comes with plenty of preloaded applications – an RSS Reader, MP3 Trimmer, Bing, Wi-Fi Router, World Card Mobile, Jetcet Print, a YouTube application and a Streaming Media manager. 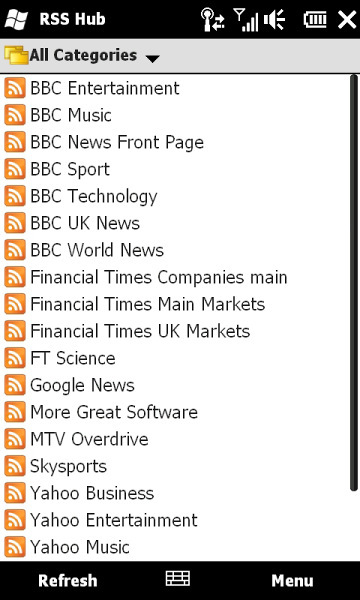 The RSS Hub app is an RSS reader for staying up-to-date with the latest news and content at your favorite web places. The Streaming Media manager allows access to custom sources of streaming audio and video. 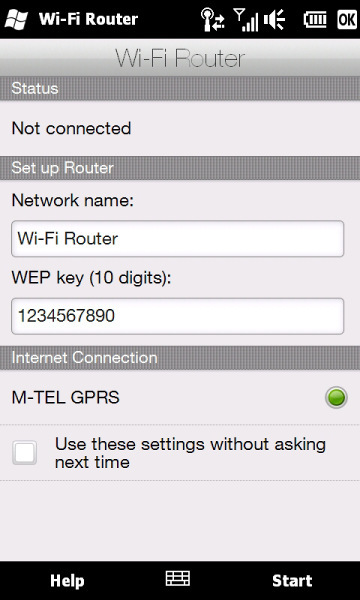 The Wi-Fi router allows you to share your HSPA connection to other Wi-Fi enabled devices such as a mobile computer, while the Jetcet Print will let you to print documents wirelessly directly from your HD2. 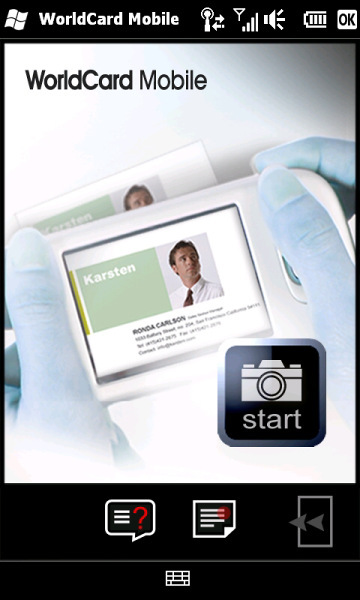 WorldCard Mobile is a business card scanner. You can capture cards, and then edit or save them. 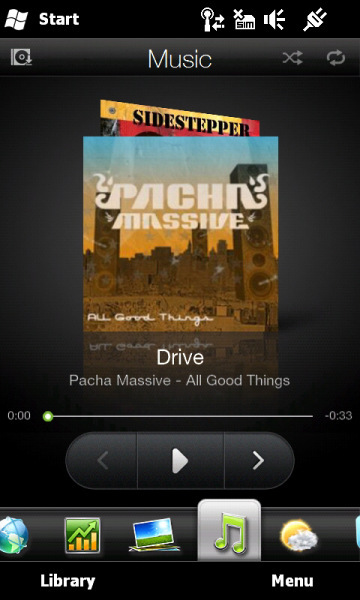 HTC HD2 also ships with the MP3 Trimmer app. It allows you to crop MP3 tracks to make your own ringtones. Another goodie is the Remote Desktop Mobile client. It allows you to connect remotely to any Windows-based computer. Another thing that has become a part of the HTC experience is the well-known Teeter game. 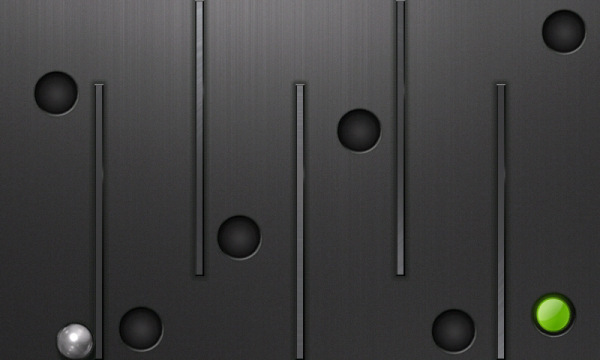 The game is simple – by tilting the phone, you must guide a ball through various mazes avoiding trap holes along the way. The graphics are polished and the phone vibrates each time your ball hits the walls of the maze making it quite engaging to play. The YouTube application is here again. It offers a fluid, excellent looking interface – shinier than even the iPhone’s. The HTC HD2 stands out as one of the most userfriendly, intuitive, technologically equipped, and most visually impressive smartphones on the market. Windows Mobile has seen many changes, and updates to become what is is today, and equipped with TouchFLO and SenseUI the usability is top notch, only rivaled by the iPhone 3GS and HTC Hero. The UI takes little time getting used to, and setting up the phone is a walk in the park. The only negative thing is that when you start poking around the more advanced functions and menus – you’re clearly in old WinMo-country, and even the 4,3″ screen can’t make up for that. 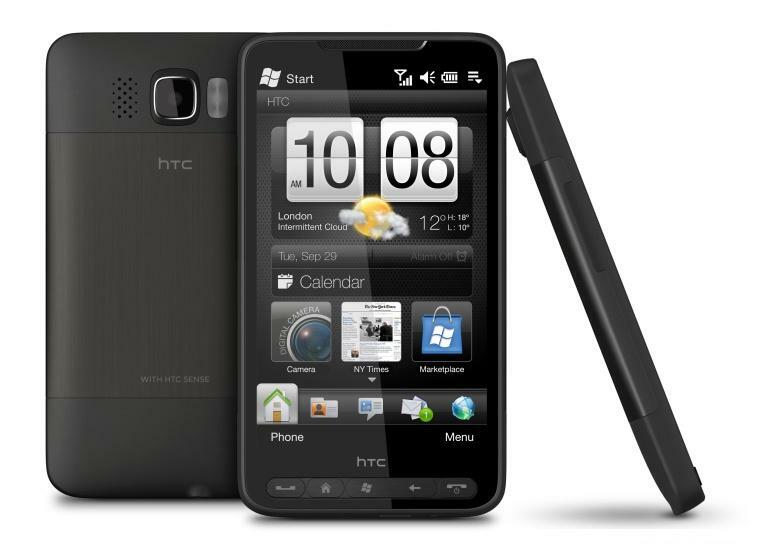 We truly enjoyed spending time with the HTC HD2, and its fun to finally see hardware that makes Windows Mobile shine. With innovative solutions to user interface, communication, and usability the HD2 is one of the most interesting smartphones on the market. But even the HD2 has major flaws. Poor camera and video recording, very limited internal storage, and the sheer size of the thing will perhaps be a deal breaker for many. So there you have it. Even the biggest star has their flaws, but there is no doubt the HD2 still is… Quietly Brilliant!